Chess Camp is a new training system for beginning chessplayers, and for the parents and coaches who teach them. Starting with simple problems to illustrate key concepts, and then progressing to more complex positions, the student will learn by doing, methodically integrating new information with previous knowledge while building effective thinking habits at the board. 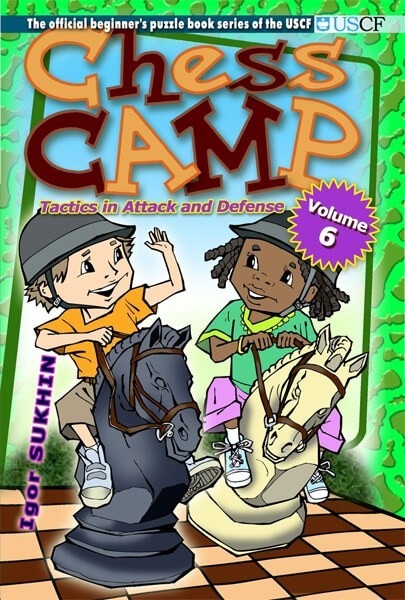 Volume 6, Tactics in Attack and Defense, presents 618 problems and exercises introducing the advancing student to more complex tactical themes such as skewers, deflection, the trapped piece, and removing the guard; and illustrating key defensive techniques including perpetual check, interposition, and the counterattack. Igor Sukhin has been using the game of chess for more than two decades to teach children. His books have been selected repeatedly as recommended reading by the Russian Department of Education. The author of the acclaimed children's chess book Gary's Adventures in Chess Country (also published by Mongoose Press), Sukhin has written more than 100 titles, with over a million copies currently in print.